After the intense Zumba class, the gym ladies told me to try this ORGANIC, HEALTHY tasting, GUILT-FREE ice cream. And I was still thinking what could that be? 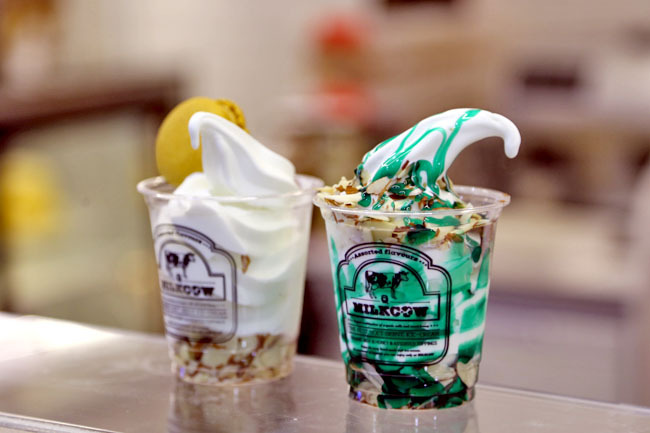 Milkcow lah! 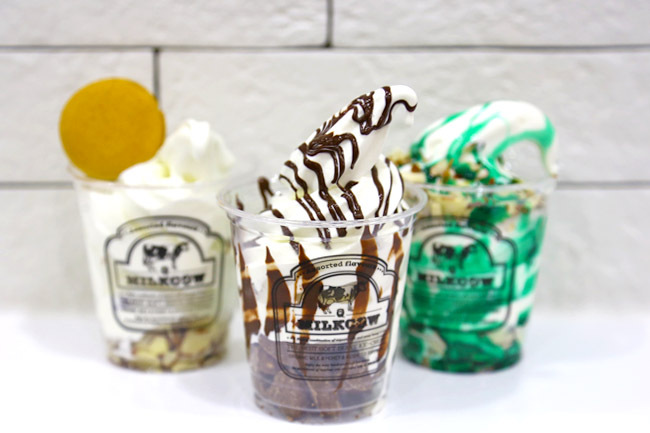 Korean brand Milkcow known for their organic soft serve topped with honeycomb, has opened another at Novena Velocity (Velocity not Vivocity, yah?) after a branch at The Cathay. Star Vista looks set to be next. I think the prices are pretty expensive for a usual customer to have it on a more regular basis – the basic Milky Way goes for $4.90, while those with toppings are priced between $5.50 to $6.50. It is also a rather small cup. 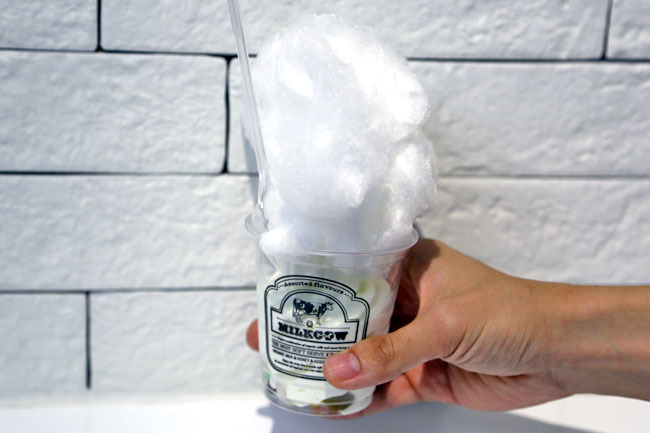 Reason being (other than rent and franchise fees), the soft serve is made from organic milk from grass-fed cow free of preservatives, and honey combs are sourced from farms in Tasmania Australia. The popular flavours include the Milk Cube ($5.90) added with organic natural honey comb, Snow Drop ($5.90) which has an instagram-worthy cotton candy topping (which really ranges in portion), Milky Shot ($6.50) with a single shot of espresso, and Mocao Dream ($6.50) with handcrafted macaron and almond flakes. I wished that the twirls were more consistent and tall. After noticing that I was photographing, the service staff asked quickly if she could make another cup because “the last cup was not so pretty”. I also know. But I decided to be real and declined the offer. 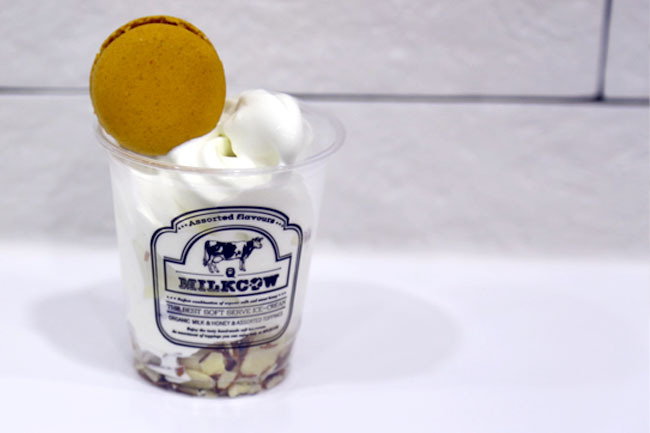 With no pun intended, my sense is Milkcow is still quite off the radar, and need to further milk it while the Korean soft serve trend is still dawdling. * Daniel’s Food Diary pays for food reviewed unless otherwise stated. This one gym ladies paid.